"Where you learn doesn't matter, What you learn does"
Question What are your thoughts when facing an opponent? Brucelee: There is no opponent. Brucelee: Because the word ''l'' does not exist. Any technique, however worthy and desirable, becomes a disease when the mind is obsessed with it . 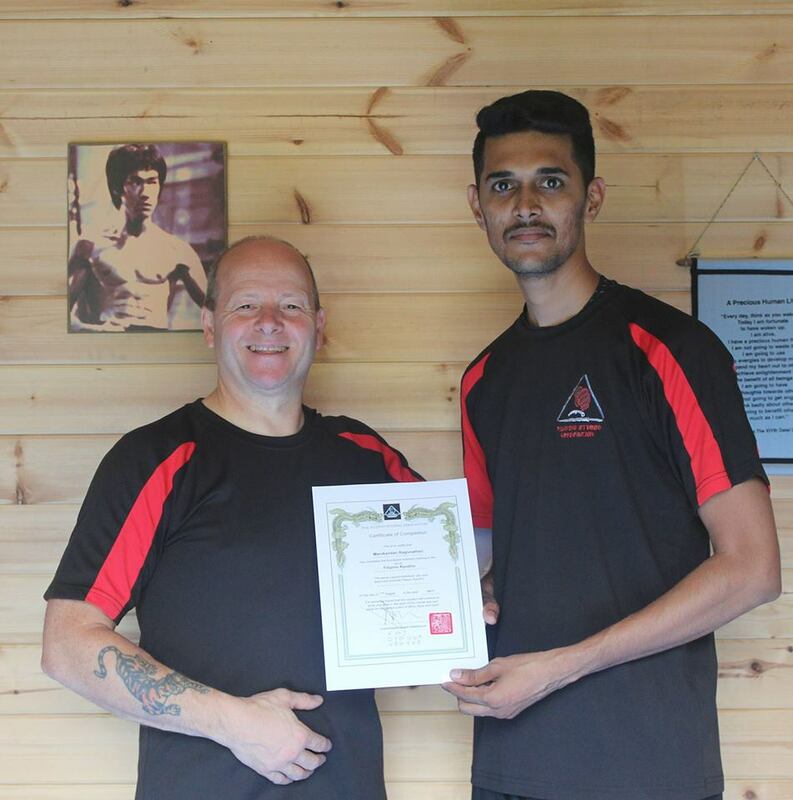 Guru Manikandan who trained in several martial arts for past 20 yrs in Karate, Muaythai,Muay boran, Filiphino Kyusho, Boxing, Brazilian juijitsu( BJJ),Wing chun, judo and few other martial arts from China, Thailand, Malaysia, Hongkong, United Kingdom and created a new way of self defense which could be very easy & effective to use and in real survival situations. After his observation from his different types of students he came to know what people need. So he Created Yutha sasthiram (Fight Science) which is the MMA(Mixed Martial Art). 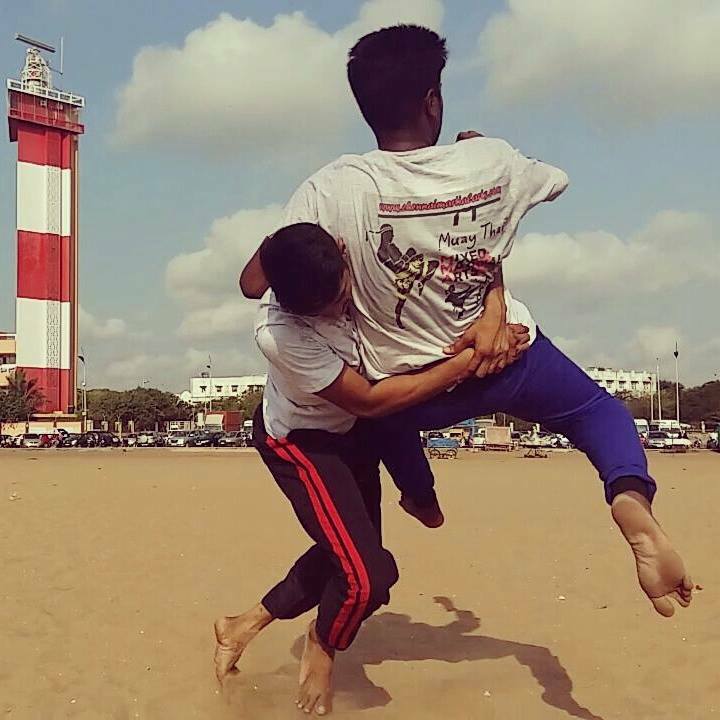 Yutha sasthiram is also as same as Jeet KuneDo which found by Brucelee.We also follow Brucelee's way of Martial-art and Philosophy to learn how to defend one self and also how to build your character. It is not only like a combat program it is like studies. people learn each and every movement with understanding the science behind the movement. 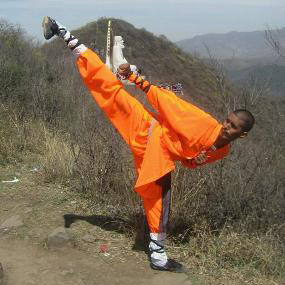 They can train their mind and soul as a traditional martial art. We mainly focus on real situations for street survival to fight against one to one or multiple attackers with or without weapons and against armed person, figting against different types of martial arts when it is necessary. 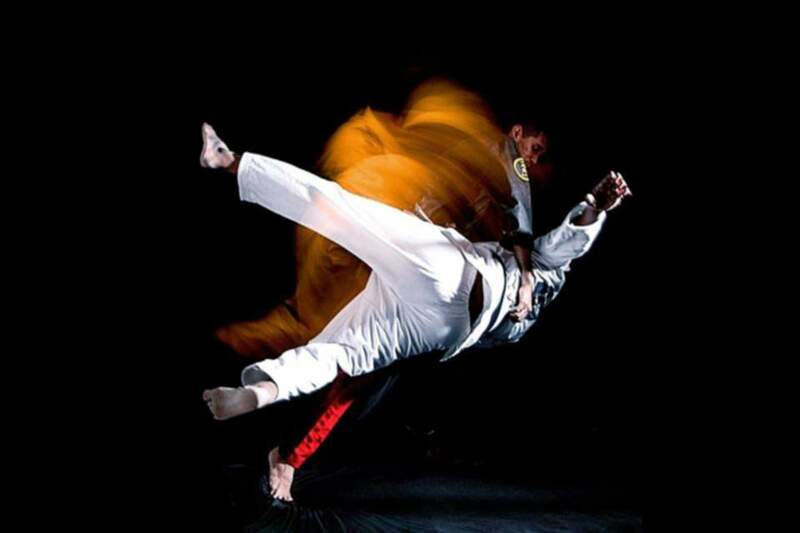 A SPORT that consists in the regulated hand to hand combat of 2 athletes trained in various forms of martial arts. An MMA Fighter is an athlete that trains himself to learn and use the best techniques from different martial arts (Muay Thai, Karate, Jiu Jitsu, Judo, Wrestling, Boxing, and Sambo) and conditions himself with the best strength and conditioning methods to enter the octagon or cage and compete against another athlete under similar conditions to see who the best is. At the end of the bout, the athlete that learned the most techniques and was able to apply them correctly and was better conditioned will prevail. That to me is a SPORT. Similar to football, were the NFL athletes have to study playbooks, conditioned themselves, come up with a game plan and apply their knowledge on the field to win a game, MMA athletes do the same to win a bout. Today it would be ignorant to think otherwise, MMA is a Sport and has become a lifestyle as well. Clothing lines, training gear, training facilities, nutrition are all now part of the sport?s culture. Now like anything else, it is important to know where it came from. 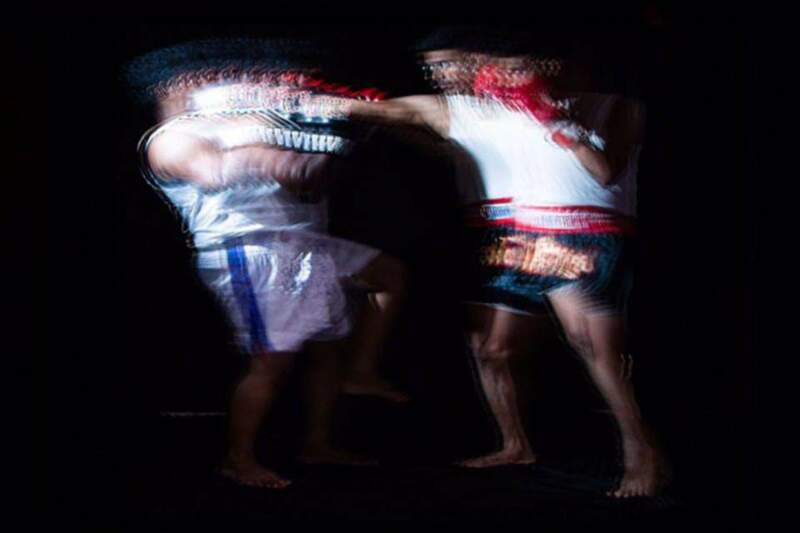 We all know that we have many different styles of martial arts out there: Muay Thai, Karate, Jiu Jitsu, Judo, Wrestling, Boxing, Sambo, Kickboxing, Kung Fu, etc. even those crazy big guys - Sumo. These styles have fought against their own members, but no one ever thought of putting them to the test against other styles. Not until the Gracie family brought the UFC, Ultimate Fighting Championship to the USA. Although we have to mention that before The Ultimate Fighting Championship, as early as the 1920?s, there have been Vale Tudo matches in Brazil and some other parts of the world. But never until the UFC has it been clearly shown martial art style vs. martial art style to determine which one was the most effective. In the early days of the Octagon, you could easily see that a Boxer would go against an opponent who was a Karate master or a Kun fu expert. Or a man weighting 250lbs go against one weighting 170lbs. This was the early days of the UFC were the Gracie family showed that Jiu Jitsu was the best martial art style to know by winning 3 of the first 4 UFC tournaments. Although, in my personal opinion, it would have been a little different if Bruce Lee had been around or maybe even happened sooner. Not saying he would have defeated Royce, but even though he was older when the UFC came around something tells me he would have gotten involved somehow or even had a protégé compete. Bruce Lee in his days was one the first ones to talk about MMA by insisting that a fighter should be well rounded, know a little bit from every style and how to defend it. 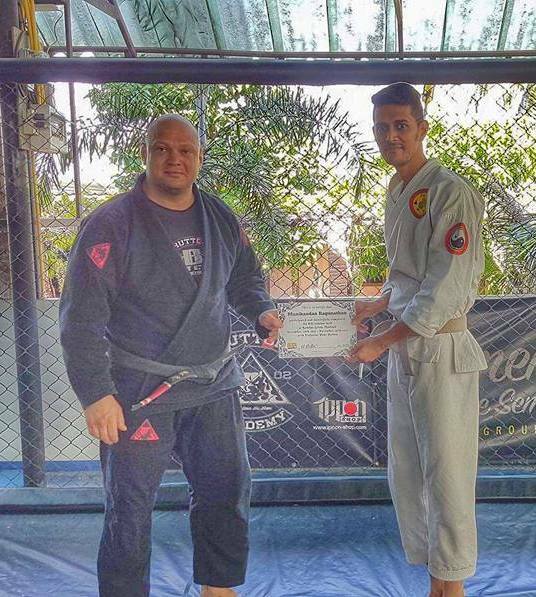 He developed techniques to fight standing as well as some ground and submission techniques. That is why he used to say he could defend any style. Here is where the reality kicks in: only those who master different styles of fighting, both stand-up and ground techniques, close-up and long striking techniques, would be become successful, long term, inside an Octagon. Fighters realized that they couldn?t compete just knowing one style and then: Boom! - That is where MMA comes in. Mixed Martial Arts. 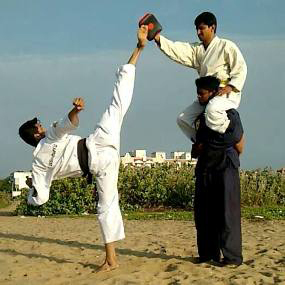 You had to be a great kick boxer, judo, boxer, Kung Fu, to be successful. Initially, most fights were fought standing up, except the ones involving Jiu Jitsu fighters. Nowadays, fights can end on both ways because everyone is aware of every aspect of the game. But in Learn to win Martial art school We teach MMA as a Traditional martial art like karate,Kungfu but with MMA skills. we teach Decipline & Humanity and we teach to use the art for survival in life not as sport.